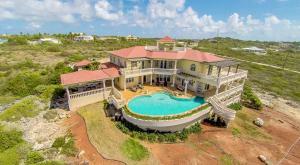 Featuring a garden, an outdoor pool and sea views, Crystal Sunrise Villa is located in Betty Hill. 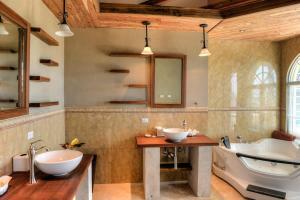 Guests staying at this villa have access to free WiFi. 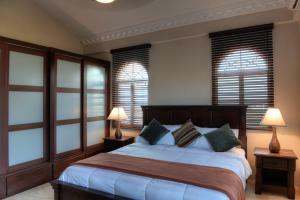 With 4 bedrooms, this villa has a terrace, a living room and a flat-screen TV. There is a seating area, a dining area and a kitchen complete with a dishwasher, an oven and a microwave. The villa offers a barbecue. 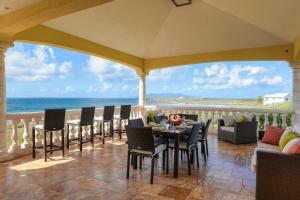 Saint Martin is 10.6 miles from Crystal Sunrise Villa.